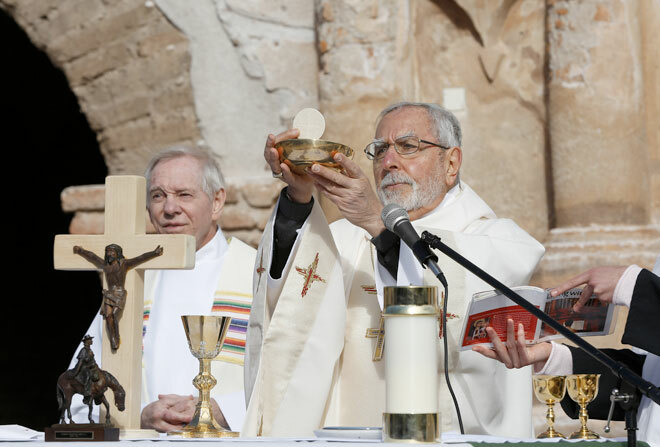 Guidance: The liturgy is the public and official worship of God which the whole Church, the Mystical Body, offers to God in union with her head Jesus Christ, so it is important that it be celebrated according to the mind of the Church. Photo: CNS. In my parish there are certain irregularities in the way Mass is celebrated and frankly I am disturbed by them. Some of my friends tell me not to worry about it. Is this important? The missal allows the priest to choose from a number of penitential rites, prefaces and Eucharistic prayers, etc. These choices are foreseen and they provide a certain variety in the common celebration of Mass. But apart from them the priest is to follow both the text and the rubrics of the missal. He should not change the wording of any of the prayers, the profession of faith, the Eucharistic Prayer, etc., and he should not leave anything out. Naturally the different rites, especially the Eastern rites, have their own way of celebrating Mass which may be quite different in some aspects from the Roman or Latin rite celebrated in most of the world. But even these rites have a common missal used all over the world so that their faithful find themselves at home in the liturgy wherever they may be. In this way the Catholic Church is seen to be clearly one and universal. It is different from the protestant denominations, where their worship can be vastly different from one parish to another, let alone from one country to another.